Deputy Finance Minister, MK Yitzhak Cohen, blames Uri Ariel and Tzipi Hotovely for terror 'catastrophe' around Temple Mount. 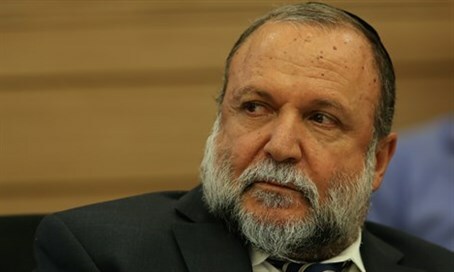 Deputy Finance Minister Yitzhak Cohen (Shas) mounted a fierce attack Tuesday on the politicians who favor Jewish ascent to the Temple Mount and blamed them for the current wave of Arab terror. He specifically singled out Deputy Foreign Minister Tzipi Hotovely (Likud) and Agriculture Minister Uri Ariel (Jewish Home), both of whom ascend the Temple Mount several times per year. "The ones who are to blame for what is happening in the streets of Israel, for this terrible bloodbath, are Minister Ariel and Deputy Minister Tzipi Hotovely, who ascend the Mount and fan the flames," he told Kol Hai Radio. He spoke similarly Monday night on Army Radio. "Why do we need to implement our sovereignty if the price is the security of the state of Israel?" he asked. "Is it worth it? Don't they see what is happening here? Where is the leadership expected from elected officials, when the flames consume the streets of Israel? Sometimes it is better to be smart than to be right. With these actions, they – and the entire group that believes in ascent to the Mount – bear direct responsibility for the entire catastrophe that is going on here." Prime Minister Binyamin Netanyahu gently reprimanded Deputy Foreign Minister Tzipi Hotovely Monday after her remarks about dreaming of an Israeli flag fluttering over the Temple Mount aroused controversy. Netanyahu's bureau published a statement and stressed, without mentioning Hotovely specifically, that "the Israeli government's policy about the Temple Mount was expressed by Prime Minister Binyamin Netanyahu in his statement Saturday night, and it remains unchanged. Prime Minister Netanyahu clarified that he expects that all members of the government to act in accordance with it." Hotovely herself also published a clarification and said: "My privately held views are not the government's policy, and I am most certainly committed to its policy, as expressed by Prime Minister Binyamin Netanyahu Saturday night, when he declared that there will be no change in the status quo on the Temple Mount."